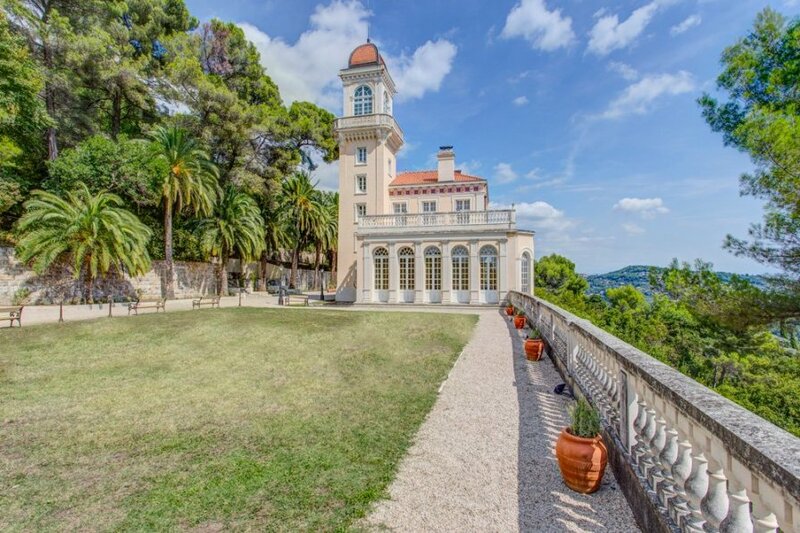 Built in the 19th century by an esteemed perfumier as a private palace in Grasse, the world capital of perfume. Chateau de la Victoire can become your residence for a day, a week, or even a month. You can organize business events (board meetings, combined study day / activity, team building, seminars) or private events (weddings, birthdays, christenings), or you may choose to rent it out for your holidays. The Chateau features 2 beautifully decorated en-suite salons that can accommodate up to 130 people (cocktail): ”The Grand Ballroom” and “The Dining Room”. If you choose to spend the night here, Chateau de la Victoire offers 7 bedrooms with 6 en-suite bathrooms for up to 14 guests. Breakfast will be served in “The Conservatory”, where you can take in the panoramas of Grasse.